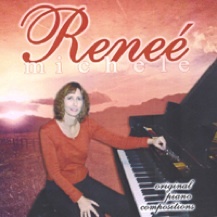 Bridges is Reneé Michele’s second collection of original piano solos, and what a beauty it is! The music was inspired by meditation, “reflecting the healing energy from the heart to the soul.” The music is warm, thoughtful, and very soothing, giving the listener something of an emotional massage. 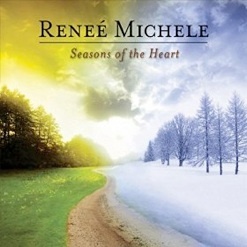 Far from falling into the category of ear-candy, Reneé Michele’s music can stay comfortably in the background, but is beautiful and substantial enough to invite deep and focused listening. Both classical and contemporary in style, this is wonderful piano music on several different levels. The CD opens with “That look ... that smile,” a gentle and yet passionate love song. A simple and sincere melody is accompanied with a rolling left hand that gives it grace and elegance. 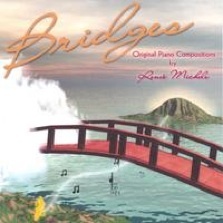 “Bridges (always)” continues in an introspective mood coupled with a feeling of longing and nostalgia - very beautiful! “The Journey” is my favorite track. A bit more mysterious and a little dark, this is also a deeply emotional piece. There is a sense of searching and looking inward, but also of reaching out. “Safe Harbor” follows, bringing us back to a feeling of peace and contentment. “Far Away” is another favorite - kind of sad and wistful. “Waiting” has a the feeling of a late-night soliloquy at the piano - musical musings while dealing with emotions. “Forever” closes the set as it opened, with a sweet love song. Bridges is a very calming and satisfying musical experience that I have thoroughly enjoyed. 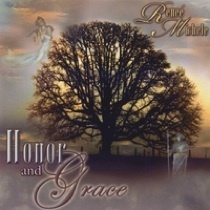 It is available from cdbaby.com. Recommended!